“I feel like a rock star,” said Tatiana Berman after performing Charles Coleman’s Violin Concerto for the Constella Festival of Music and Fine Arts Thursday night at Memorial Hall. It was a magnificent performance. Add to that, it was a world premiere. .Berman is not only an internationally recognized violinist, but founder and hands-on artistic director of Constella, making her achievement that much more remarkable. Commissioned by Constella and written for Berman, the Concerto is an energetic work with a lovely, lyrical central movement. It is hard not to hear the big-city resonance of the work (as in Coleman’s “Streetscape,” commissioned by the Cincinnati Symphony Orchestra in 2001 and premiered by Järvi), with its lively rhythmic interplay in the outer movements. Indeed, there was always a “buzz” in the first movement, which opened with the violin carefree and frisky, playing over the tapping of a cymbal. Berman crafted her lines with a centered, bright-as-a-laser tone that brought out the violin’s independence, yet unity with the orchestra, ending the movement with a flip little gesture, again over the ring of a cymbal. The Larghetto second movement was an essay in beauty, Berman entering in a reflective mode after a faraway introduction by the orchestra. The music grew in intensity and there were some gorgeous textures, including, at one point, an ethereal one for violin, strings and piano. After a soaring climax, there was silence, then a kind of leave-taking, capped by a soulful passage by Berman, answered at the end by solo clarinet (there was total silence in the hall after this). The third and final movement, a playful one modeled (on steroids) after the finale of Bach’s Violin Concerto in E Major, took off with an air of excitement (the movement is marked "Persistent"). This was generated (again) by its abundant rhythmic activity and by Berman’s technical panache and her ability to counter bright, high-lying passages with low, guttural ones for full tonal variety. Like a locomotive speeding along the rails, it came, however, to a surprise, abrupt ending. 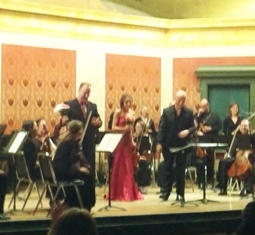 Järvi was fully her partner in the performance, leading the orchestra with zest. Järvi, who held the orchestra in the palm of his hand(s) throughout the concert, opened with Stravinsky’s “Apollon Musagète.” Translated “Apollo, Leader of the Muses,” it is the score of a 1928 “white” ballet premiered at the Library of Congress and revived the same year by Diaghilev’s Ballet Russes in Paris. Scored for strings only, the 30-minute work unfolds in two tableaux and is a landmark of the composer’s neo-classical style. Järvi gave it a fluid reading, congenial and rich in voicing. 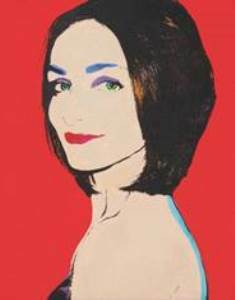 Concertmistress Anna Reider was a vibrant soloist in the second tableau (“Variation of Apollo,” in which Apollo first meets the Muses). The three short variations for Calliope, Polyhymnia and Terpsichore (each less than two minutes long) were totally charming, the pas de deux of Apollo and Terpsichore was sweet and gentle, and the final “Apotheosis” was lush and infused with sentiment. The good feelings continued in Mozart’s Symphony No. 33, an intimate work from his Paris years. Järvi crafted its lines expertly and invested considerable beauty in the Andante. There was a real kick in the Minuet, with its understated Trio, and the Allegro finale was light hearted, with spirited playing by all. The concert was followed by a reception on the lower level of Memorial Hall and an exhibition of art work by Andrew VanSickle, Rev. Howard Finster and Gary Lee Boas.